🦃 Good Tuesday morning — one day until Getaway Day. ⚡ Breaking overnight: "A federal judge temporarily blocked the Trump administration from denying asylum to migrants who illegally cross the southern border." Incoming House Democratic leaders are being warned to emphasize the findings of their Trump administration investigations rather than the mechanics, like subpoenas and document requests. 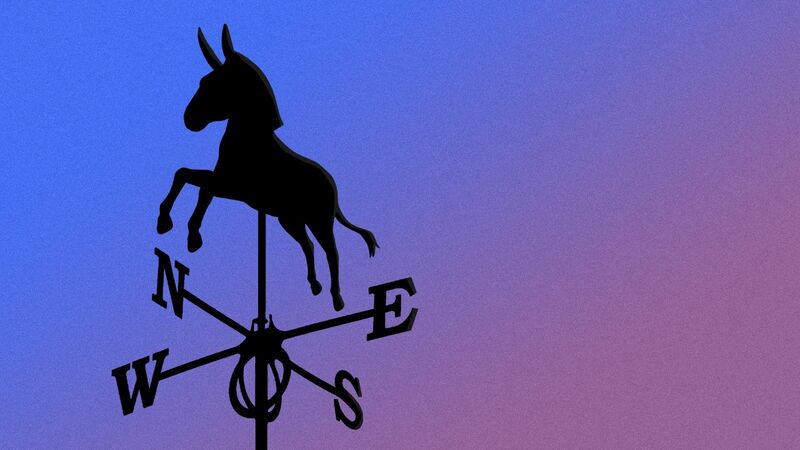 "Show — don’t tell," says a new progressive strategy blueprint from Navigator Research, a collaboration of two Democratic firms, Global Strategy Group and GBA Strategies. "[T]oo much focus on the investigative process rather than the findings could tarnish public perceptions." Why it matters: The polling shows that with the country so closely divided, Democrats could easily overplay their hands as they revel in their new clout. Polling by the firms found "far lower" support from independents and battleground district voters when the emphasis was on Democrats "[using] their new congressional powers" rather than "[following] the facts." That was the most actionable of the takeaways from 1,269 online interviews with registered voters, with a heavier sample from 2018 House battlegrounds. "In the two weeks since the election, potential White House contenders have intensified their effort to recruit operatives who could help them navigate an Iowa campaign." AP's Tom Beaumont reports from Des Moines. "Even before they announce their White House intentions, New Hampshire’s ambitious neighbors [from Massachusetts and Vermont, with Sen. Cory Booker of New Jersey fighting for a foothold] are in the midst of a shadow campaign to shape the nation’s first presidential primary," per AP's Steve Peoples. President Trump has been telling people privately that he’s impressed by the "courage" acting Attorney General Matt Whitaker is showing in the face of burgeoning legal challenges and questions about his history of publicly criticizing the Mueller investigation, Jonathan Swan reports. A source familiar with Trump’s thinking said the president has privately used the word "courage." "Clearly what he likes about him is he’s holding his ground, not running for the tall grass," the source said. "You can’t be attorney general if you have to walk away from really important work that an attorney general should be doing. And so you have a duty to really think carefully before you just throw up your hands and say: I don’t want to take that on or I want to run from that particular controversy." Whitaker isn’t out of the running for the permanent job, but there is some internal opposition to him because of a sense of how difficult he will be to confirm. Trump has shown no great urgency to settle on a permanent replacement for Jeff Sessions and seems happy with Whitaker's current status, a source with direct knowledge told Axios. Several potential replacement names have been tossed around the White House, including Chris Christie, Bill Barr and Mike Luttig, but it’s unclear whether Trump has a personal favorite. On CNN last year, Whitaker said: "So I could see a scenario where Jeff Sessions is replaced with a recess appointment, and that attorney general doesn't fire Bob Mueller but he just reduces his budget to so low that his investigations grinds to almost a halt." Three Democratic senators filed a lawsuit yesterday questioning the constitutionality of Whitaker's appointment because he’s not Senate confirmed. Senate Democratic Leader Chuck Schumer praised the suit. Be smart: People close to the president have formed the impression from their conversations with him that he wants to appoint as A.G. somebody he already knows — not a new face. The Rex Tillerson experience — where Trump took an instant liking to him and decided almost immediately to hire him — is one of his few regrets from his time in office. We may sleep with our smartphones and spend multiple hours a day staring at device screens, but almost of half of American adults say they prefer in-person communication, per a poll by SurveyMonkey for "Axios on HBO." Why it matters, from Axios managing editor Kim Hart: The rapid rise of social media and smartphones led some experts to worry that digital communication would replace face-to-face interaction, potentially leading to weaker relationships and less productivity. The results show that adults still value the human connection of an in-person conversation over text messages by a 21-point margin. Coming distractions: The proportion of teens who prefer in-person interaction has plummeted from 49% in 2012 to 32% today. Texting is now the favorite mode of communication, per a survey of 13- to 17-year-olds by Common Sense Media. 54% of teens agree that using social media often distracts them when they are with people, and 44% say they get frustrated when their friends are using their phones while hanging out. Yet 55% say they hardly ever or never put their devices away when hanging out with friends. 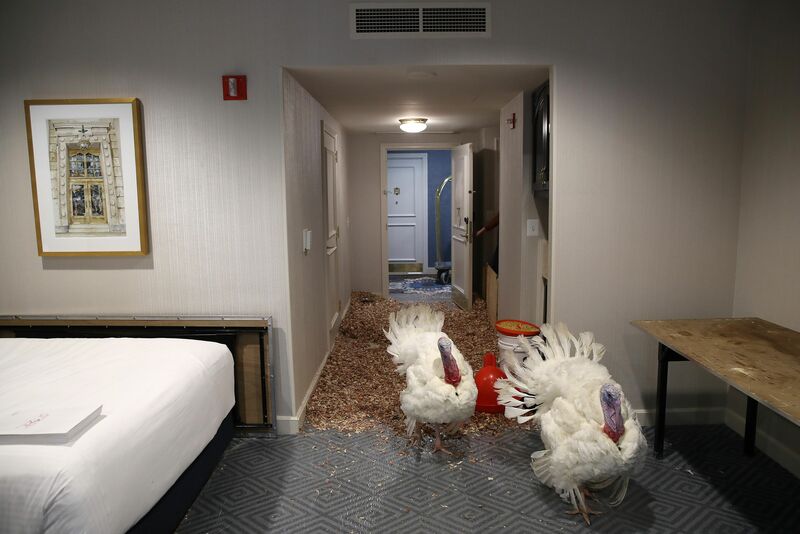 Peas and Carrots, the National Thanksgiving Turkey and alternate, strut in a Willard Hotel room supplied by the National Turkey Federation, ahead of today's Rose Garden pardoning by President Trump and First Lady Melania Trump. 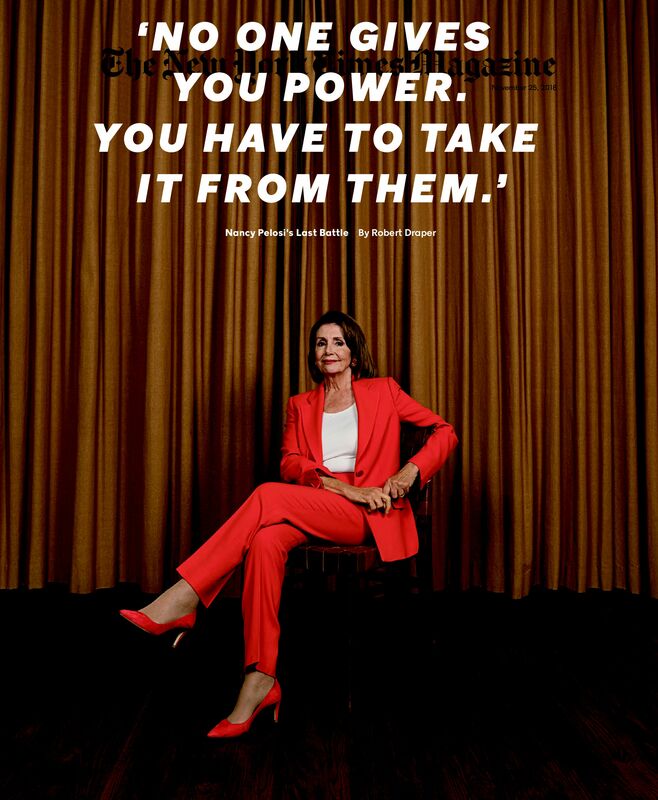 "[R]equests for committee assignments [are] already pouring in, requiring the usual calibrations on her part: who needed a national-security-related credential, which caucuses and state delegations needed more representation where, who had been loyal to Pelosi, who had not. And which newer members should she lift into the ranks of leadership?" "It’s not a choice of whether I’d hand it to them on a silver platter or not. ... It’s, do members want somebody anointed? I don’t think they do. The person has to emerge. People have to emerge. And it’s hard." "We always say when the new ones come: 'Here are the freshman recruits. Who among them will be the leaders in this Congress? Or rise in other offices? Or be president of the United States? ... I don’t think anybody could have predicted it in me." Mood music, from AP: "The vote on a new speaker will be among the first cast in the new Congress, a dramatic roll call that often becomes fodder for campaign ads. For many of the Democratic freshmen, it's a moment of truth after a number of them promised ... to oppose Pelosi and demand new leadership." "This chilling prospect is described in a paper published Monday in Nature Climate Change, [showing] the effects of climate change across a broad spectrum of problems, including heat waves, wildfires, sea level rise, hurricanes, flooding, drought and shortages of clean water." "Florida ... recently experienced extreme drought, record high temperatures and wildfires — and also Hurricane Michael." Why it matters: "The discovery alarmed some advisers to President Trump, who feared that his daughter’s prac­tices bore similarities to the personal email use of Hillary Clinton, an issue he made a focus of his 2016 campaign." "Some aides were ... taken aback by her response when questioned about the practice. She said she was not familiar with some details of the rules." "Clinton also said she was unaware of or misunderstood the rules." 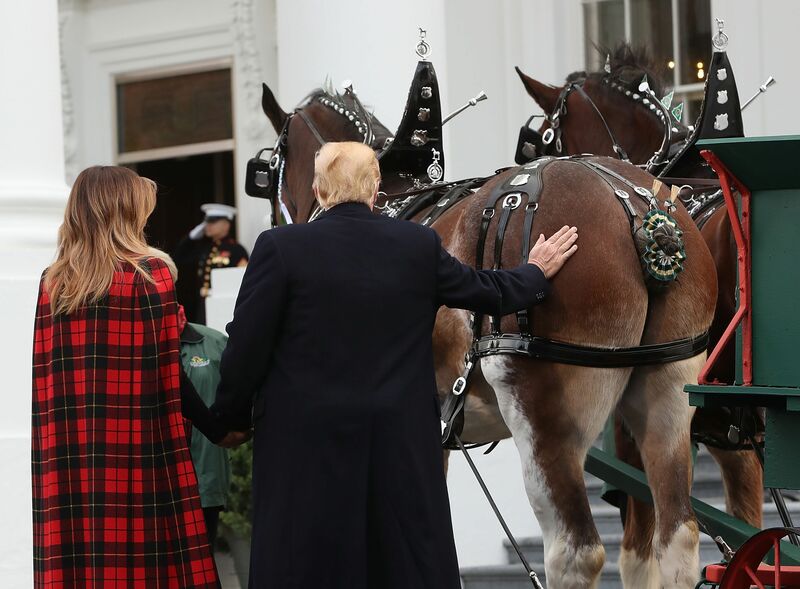 A statement from her lawyer: "While transitioning into government, after she was given an official account but until the White House provided her the same guidance they had given others who started before she did, Ms. Trump sometimes used her personal account, almost always for logistics and scheduling concerning her family." 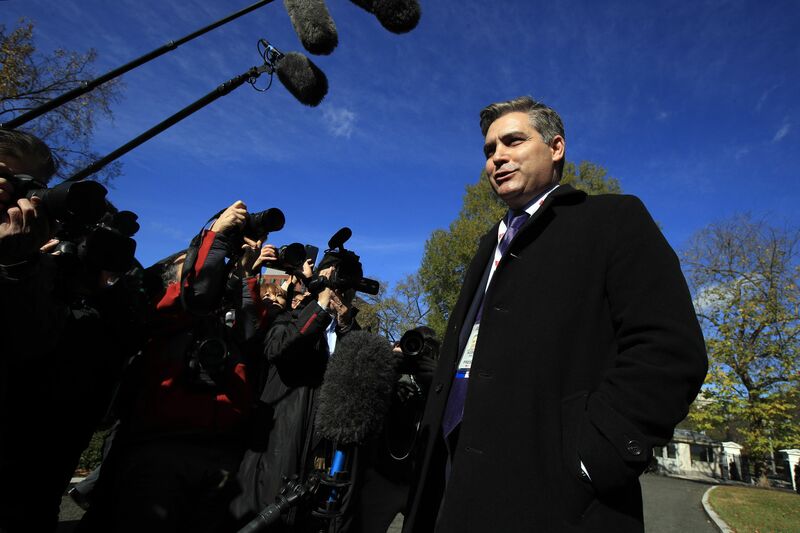 "The White House ... said that CNN correspondent Jim Acosta's press pass has been 'restored,' bowing to days of pressure," per CNN. Sarah Sanders and Bill Shine "notified Acosta and the rest of the press corps of new 'rules' governing presidential pressers." Failure to abide by any of rules (1)-(3) may result in suspension or revocation of the journalist’s hard pass. "Amid international uproar over the killing of journalist Jamal Khashoggi, some members of Saudi Arabia’s ruling family are agitating to prevent Crown Prince Mohammed bin Salman from becoming king," per Reuters. "Dozens of princes and cousins from powerful branches of the Al Saud family want to see a change in the line of succession." "They are discussing the possibility with other family members that after the king’s death, Prince Ahmed bin Abdulaziz, 76, a younger full brother of King Salman and uncle of the crown prince, could take the throne." "Dr. David Rempel, a professor of medicine at the University of California, San Francisco, ... said, 'Well-meaning safety professionals and some office furniture manufacturers are pushing sit-stand workstations as a way of improving cardiovascular health — but there is no scientific evidence to support this recommendation.'" Why it matters: "Alternating standing and sitting while using a computer may be useful for some people with low back or neck pain ... but people shouldn’t be under the illusion that they’re getting exercise."